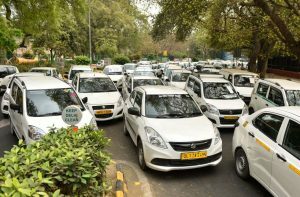 BENGALURU – The Karnataka Transport Department has revoked the licence of Ola Cabs for the next six months. The action against Ola came after it was found in violation of guidelines for cab aggregators. The ride hailing service was allegedly operating two-wheeler taxis without permission which led to the state-wide ban. “Based on the report given by senior officials in the Regional Transport Office, the licence given to M/S Ani Technologies Pvt Ltd, Ola Cabs to operate taxis till June 19, 2021 has been suspended under The Karnataka on Demand Transportation Technology Aggregators Rules, 2016,” an order from the Karnataka Transport Department said. The Karnataka Transport Department had handed a show cause notice to Ola Cabs’ motorcycle taxi service. While the company had reportedly submitted a response to this notice, the transport department had found it unsatisfying. Brexit timeline: What’s expected to happen next?